40 years a dancer. 30 years in Tango. One of Tango's most influential teachers & promoters. A pioneer of Argentine Tango and it's next wave! Learned from the last generation of milongueros. De ser para esta joventud, lo mismo que un libro abierto. Daniel Trenner is one of Tango’s modern pioneers. He happened on Tango in Buenos Aires in 1987 while he was there teaching Jazz and Improvisation at the State School of Contemporary Dance in the San Martin Theatre. He was one of the first young generation people involved in tango’s revival. 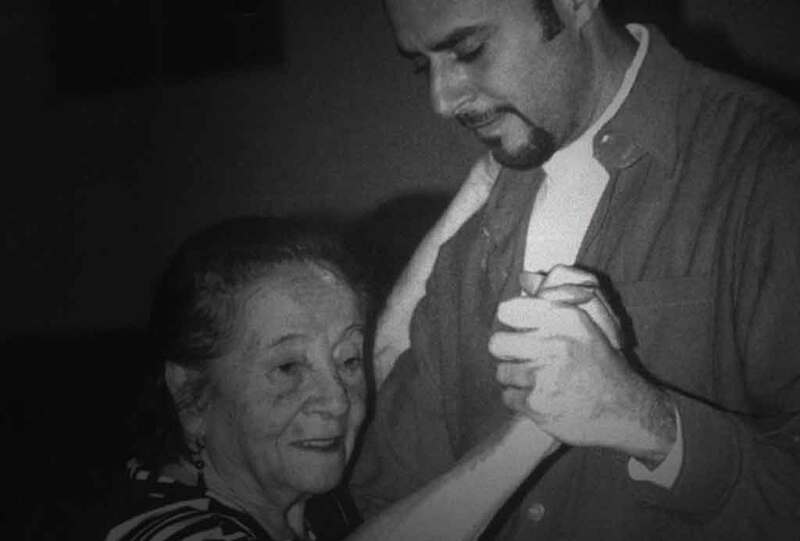 He studied with, interviewed, filmed and organized for many of the Milongueros, the older generation dancers. He has been called a “Johnny Appleseed of Tango” for his 20 years of touring as a tango teacher, visiting more than 100 cities on 4 continents. He was one of the early proponents of teaching tango by its elements, he created the first Tango tours to Buenos Aires (Bridge to the Tango,bringing more than 1500 people dancing in 7 countries), and the first Tango store in North America (The Tango Catalogue). He produced more than 80 volumes of Tango Instructional Video, with more than 40 artists (BttTV). Before tango Daniel was a tap dancer for more than 10 years with Brenda Bufalino and Leon Collins. 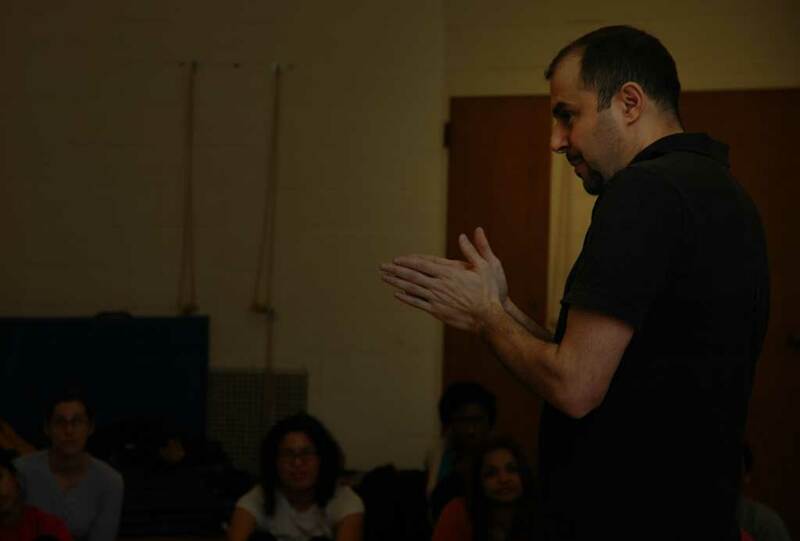 He settled in the Pioneer Valley in Northampton, MA in 2002, and is presently teaching at Smith College, Amherst College, Mt Holyoke College, Hampshire College, and taught for five years at the Performing Arts High School (PVPA). We are 45 minutes from Bradley International Airport (Hartford/Springfeild), 2 minutes by car to downtown Northampton, 15 mins. from Amherst, an hour from Great Barrington, and 2 hours from Boston. The Connecticut River Valley is a beautiful setting with mountains, lakes, rivers, and plenty of hiking and scenic attractions. Schedule well in advance please. B & B prices range from $75-150 per evening, private lessons are based on the package rate of $900 per 10 hours, add more hours as your stamina and my time make available. Studio time is included in the price of the lessons. Additional studio time for your practice is available at no extra charge. Daniel’s experience in tango is almost unparalleled of any teacher I know. He was studying tango in Buenos Aires in the 1980’s with many milongueros that are no longer with us and not only learned from, but documented a lot of them on film. Because of this he has a unique perspective in the tango world today — bridging the old and new styles and being able to transmit his knowledge to students in an informed, entertaining, and well-thought out manner. Daniel Trenner was knocking on the door of Buenos Aires to discover the world of Argentine Tango long before any of us knew it existed! With his extensive dance background he was able to decipher much about Argentine Tango in this very much underground scene of the late 80s and early 90s and by spending one on one time with the authentic Milongueros. Luckily for all of us he was also a great teacher and shared his knowledge with dancers all over the United States as he traveled and also through an extensive video collection in which he documented so much of his discoveries about Argentine Tango. Daniel is truly a fountain of knowledge and experience when it comes to Argentine Tango. An opportunity to study with him is one I highly recommend!